This year, the Department of Parks, Recreation and open areas of Miami-Dade celebrates the 90th anniversary of its founding in 1929 and to commemorate this event so important, the Parks Department will host events and special activities throughout the year-and everyone is invited! “Ninety years and still strong , ” said the director of the Parks Department Miami-Dade, Maria I. Nardi. “We want to thank the community for their support and commitment over the years. The Parks Department Miami-Dade shares a history of significant contributions to environmental conservation, recreational and cultural experiences of our community, and its continued progress to build a sustainable system of parks for the enjoyment of residents and visitors, and we would not be here without our champions of the past, present and future “. This is the perfect opportunity to rediscover all that the Parks Department Miami-Dade has to offer, with its vast outdoor spaces to play, full of recreational facilities to suit everyone’s taste in its parks, trails to admire nature, beaches and Zoo Miami , Deering Estate , Fruit & Spice Park , golf courses world – famous and much more. Stay informed about the celebrations for the 90th anniversary of Parks Department Miami-Dade. Follow us on Twitter , Facebook, and Instagram # Celebrate90, and visit the website for more information about this festival that will last all year. From 7:00 am to 10:00 pm at the Deering Estate . The concert begins at 8:00 pm. This is an outdoor concert under the stars, with the presentation of Vi ntash Band with Michaela Paige and Raymond Daniel Rodriguez, and special guest Saxman Gabe Lee. General admission: $ 35. You can buy tickets online or by 305-235-1668 ext. 233. He asked residents to forget the car and enjoy the journey (if only for the day) to reduce traffic congestion and to experience the benefits that health – stress pedaling. Visit Bike305.com for details and a full schedule of activities throughout the month. County level event in parks Crandon , Greynolds , Gwen Cherry Park Haulover , Homestead Bayfront , Miller Drive / Raices ,North Trail , South Dade and the Deering Estate. Each park will make its own activities, discounts or deliver free samples. For schedules and details, contact the park of interest. 10:00 am 5:00 pm at the Fruit & Spice Park . Participants will enjoy a variety of Asian arts, crafts, entertainment, plants and exotic cuisine. General inputs: $ 12; children 6 to 12: $ 5 and free tickets for children 5 years or less. From 6:00 to 9:00 pm at the Country Club of Coral Gables. Presented by the Department of Parks Miami-Dade in partnership with the Commission for the Women of Miami-Dade Parks Foundation of Miami-Dade. For entries and the list of winners, clickhere . From 10:00 am to 3:00 pm at Tropical Park. This is a multi – sport event for people with physical and visual disabilities. Participants will have the opportunity to try several sports adapted and talk with athletes and coaches. Activities will include wheelchair basketball, archery, boccia, wheelchair tennis and ball for the blind (beep baseball). Lunch will be provided. 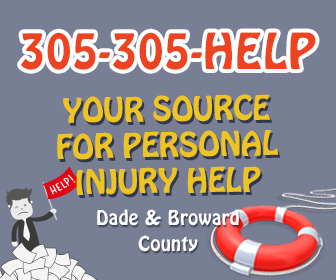 Contact Jody Cox by [email protected] or 305 234-1673. Register here . From 10:00 am to 6:00 pm at the Deering Estate . Delicious seafood, celebrity chef demonstrations, children ‘s games and rides, live music, educational activities and more. Adults: $ 20 (if purchased in advance) and $ 25: in the door; children 4 to 14: $ 7 (if purchased in advance) and $ 10 at the door. From 10:00 am to 5:00 pm at the Fruit & Spice Park . The festival presents award winning barbecues and great country music and blues. Many children ‘s activities, including pony rides. Doors open at 9:00 am on Friday and Saturday, and Sunday at 10:00 am at the Tropical Park . Inputs: $ 3; Children under 12 years free. Enjoy a day of live music, educational displays, agribusinesses and salespersons for livestock, horse shows, dog obedience demonstrations, children ‘s activities and more. Visit the website for more current information. The Department of Parks, Recreation and open areas of Miami-Dade County was created on March 1, 1929 and January 14, 1930, the beautiful Matheson Hammock became the first county park. The acquisition of that land paved the way for the addition of six parks: Greynolds Park , Haulover Beach Park , Homestead Bayfront Park , Crandon Park , Fruit & Spice Park , and Deering Estate, known as our parks-heritage. Currently, the Parks Department Miami-Dade is an award – winning park system and the third system of parks largest in the United States, consisting of 270 parks and 13,573 acres, six golf courses, six marinas, 13 miles beaches and popular attractions like Zoo Miami and the Deering Estate Fruit & Spice Park. The department provides after- school programs with proven results, sports development programs and summer camps for children and adolescents; activities for the elderly and people with disabilities. It also promotes conservation initiatives and leadership through nature centers and educational tours by EcoAdventures; outdoor gyms for physical activities; trails for biking or walking; aquatic centers that provide water exercises and classes on how to stay safe near water, learn to swim classes (Learn-to-Swim), among others. Three times winner of the National Gold Medal for excellence in the management of parks and recreation, Miami-Dade is the only municipal park system to receive national accreditation by the Commission on Accreditation Agencies Parks, Recreation and Open Spaces Discovered. The Parks Department receives funding from the Parks Foundation of Miami-Dade , which shares the vision of a system of parks and the efficient and sustainable discovered to improve the quality of life of residents and visitors of Miami-Dade. Our vision includes magnificent parks and public spaces, spectacular natural and cultural sites, great green corridors and extraordinary sea lanes and streets. The goal is that every person residing in Miami-Dade can walk (5 minutes) to a park or neighborhood civic space for a picnic, play, socialize and enjoy special events. As well as walk safely and comfortably or use the bicycle in an interconnected network of bicycle paths and safe paths and shady network that connect to parks, neighborhoods, schools , employment centers, civic buildings, and other community destinations. While it is expected that this project is fully implemented in 50 years, the new structure will promote the revitalization and sustainability, and make residents of surrounding neighborhoods to actively participate in the design and protection of each park.